Natural BIO Aronia juice from own gardens. Cold pressed, Sugar Free. Doesn not contain colorants and preservatives. Made in Bulgaria. As a medicine, the aronia of any kind should be taken 20-40 minutes before a meal. For the healing purposes, the fruits of the aronia are used. They contain many vitamins - P, C, E, K, PP, carotene, B series vitamins, organic acids, sugar. By content of organic acids the fruit of the aronia significantly outweighs strawberries, raspberries, red currants and mandarins. They also contain potassium, calcium, phosphorus, magnesium, pectin, tanning substances and much more. Aronia stimulates the processes of regeneration of muscle and bone tissue. Protective and action in viral and bacterial diseases has been proven. 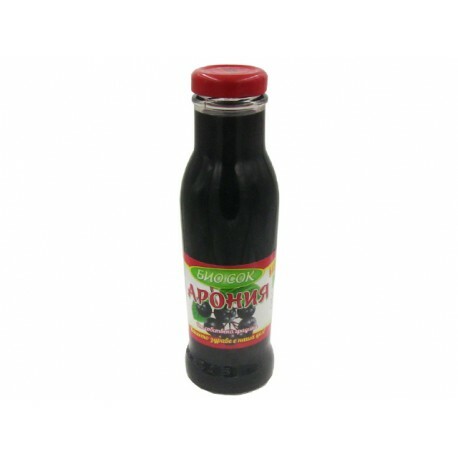 Aronia juice stimulates thyroid function and is recommended for gastric disease. Aronia is used with success in bleeding, inflammation, rheumatism, anemia and allergies. 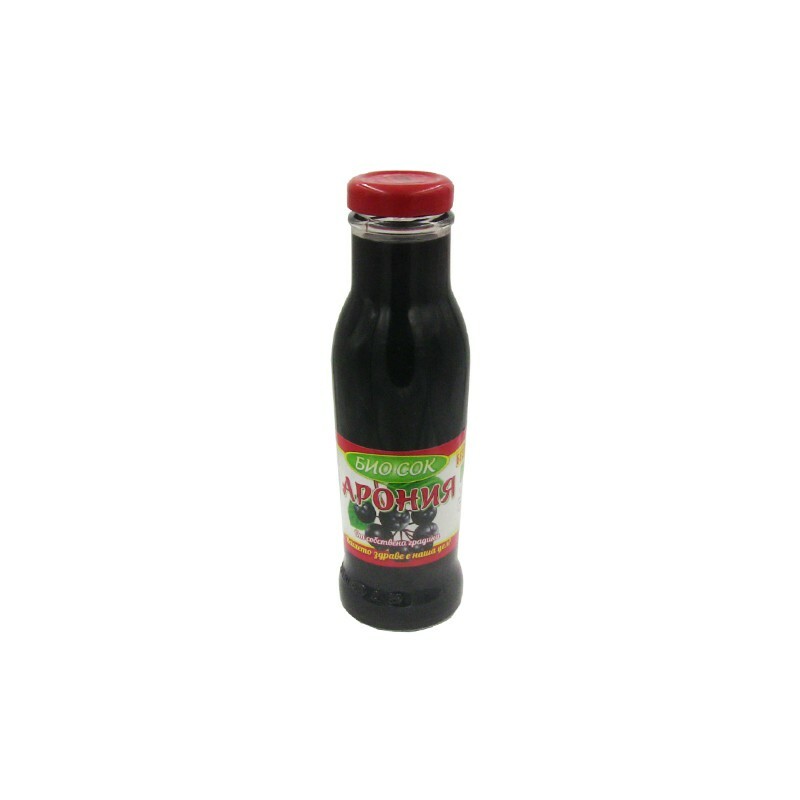 100% cold pressed and pasteurized juice from organic fruit aronia. Does not contain sugar, colorants and preservatives! Take 50 ml 3 times a day. It can be diluted with water, juices, soft drinks, white wine.